Im in a Papa John's Pizza Commercial! Performing At The San Antonio Spurs Game! Timstuh Gets Any Party Started! On Tour With The World Famous Harlem Globetrotters! Inspiring 100's of Students Across The Nation! Timstuh in Los Angeles! Building lifetime relationships after he performs! Putting on the greatest Entertainment! Performing For Red Bull Energy Drink! TIMSTUH BUILDS WITH HIS CLIENTS. A LIFETIME RELATIONSHIP! Michael Jackson The Ultimate Tribute! Timstuh has been on multiple GLOBAL TOURS!! LOS ANGELES FOR THE LAKERS! TIMSTUH ON JUST DANCE VIDEO GAME FOR XBOX! Timstuh celebrates on Tour in New York! BOOK NOW FOR ALL EVENTS! We make sure you have a great time! Timstuh is The #1 Talent Service! I'd have to say Tim is the best 1 on 1 show experience I'd have to ever work with! He is very energetic, upbeat, positive, punctual, and overly professional. This is your man for your next level of experiences. This young man can move. He is also very professional and punctual. Carries an ooze on him that separates his performance from any competition. By far a great show!! Timstuh brings down the House! Holiday occasion party and needed someone to eeuptnour crowd & break the ice. Tim does just that and more. Thanks Bud! The King Of Pop Returns! The Best Dancer In The World! Timothy gives a full show that is for all ages! He is very charismatic & is willing to get it done by all means. Thanks again Tim! Tim provides you something that you cannot duplicate. It truly is a wonderful time with this man around! Thanks Tim! Always give me a shout when you’re in Los Angeles again! Timothy can really put on a show! He is fabulous! A total sweetheart & will make sure everything is in order to ensure an amazing show! He’s not the World’s Greatest for nothing! This is awesome! Glad I can help Leidy! Was invited to mingle & entertain. Tim did that and more! No Joke! Best Act Out! Timstuh! Thanks for the greatness!!! Gave me the chills. The moves he does and so effortlessly he makes it look. Tim is by far the best show you can hire. What Timstuh does for his clients is crazy cool! He is funny, energetic, loves people, & is very genuine! This is now my second year working with Tim. He's definitely an arsenal! Very adaptive & has tons of equipment. He flys, he smiles, he goes way above expectations! He's also very good looking and sharply dressed! We tend to go #Beyondlimits and that’s a promise!!!! We asked Tim to keep the crowd engaged & he went above & beyond! Talked afterwards to Everyone. We all love him! Thank you son much for enjoying my show! So much to package! Very flexible & is there to help! He also gave out amazing merchandise from his clothing line! Thanks So much! I'll be sure to give you a great rate for being a returning customer! Tim came to our event and rocked the house! He made sure everyone was ok! 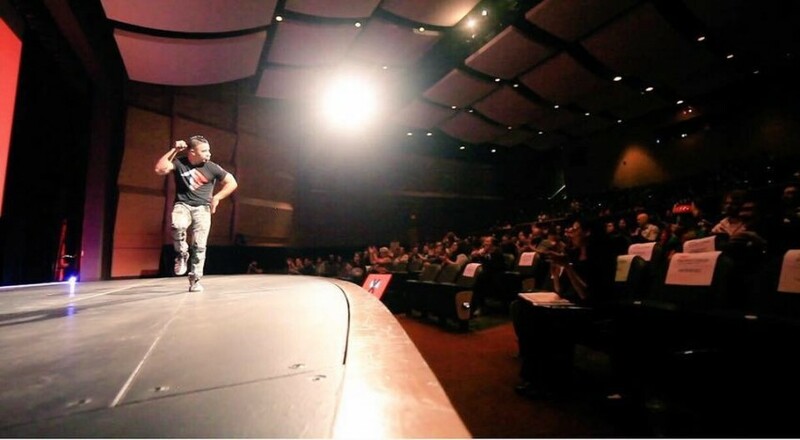 He MC'd his own show, had giveaways, and brought everyone together for a night to remember. Thanks Tim may the world always be on your side! THIS KID IS THE TRUTH! Timstuh came and was the utmost professional Kid I know! Full throttle Entertainment, Dance, Comedy, Acrobats, Circus Like Performance, Costume Changes, Michael Jackson Impersonations, Superheroes Birthday outfits, Breakdance, Martial Arts, Stunts, & A great relationship to ensure your event is a massive SUCCESS! The Worlds Greatest Entertainer Timothy "Timstuh" Campbell is the #1 requested Entertainer for all types of Events! Timstuh has been on World Tours for Michael Jackson Impersonations, Harlem Globetrotters, NBA, Video Games, Artist's, & More! Providing all around entertainment, Timstuh is now a Youtube sensation & and Entreprenuer who provides multiple form of entertainment to help YOU have the time of your life! Comical, stunts, superheroes, mascots, breakdance. surprise guests, speaking, and full throttle entertainment are some of the amazing attributes you can grasp from Timstuh! View All Media & Witness Greatness!